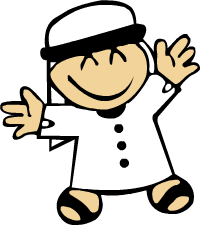 Hawari is an Arabic name for boys that means apostle, follower, supporter, used in the Quran to refer to the early followers of Prophet Isa/Jesus, peace be upon him. Hawas is an Arabic name for boys that meas brave, firm in courage. Hawis is an Arabic name for boys that means brave, courageous. Means Lions in Arabic. This was another name of Ali, the husband of Fatima - daughter of the Prophet Muhammad (PBUH). Hayl is an Arabic name for boys that means heaped sand, piled sand. living, Ever alive, an attribute applied exclusively to Allah Name, Abdul Hayy. Lively, energetic, Old Arabic Name. Hayyee is an Arabic name for boys that means modest, bashful. Hazeem is an Arabic name for boys, and less commonly for girls, that means thunder. It also means the sound of hooves, the sound that horses make when they walk. It also means continuous, unending rain. Firm, resolute, energetic, judicious, discreet, prudent. An honorific title, used at the beginning of a name. Hazzar is an Arabic name for boys that means one who laughs often. It also means generous.